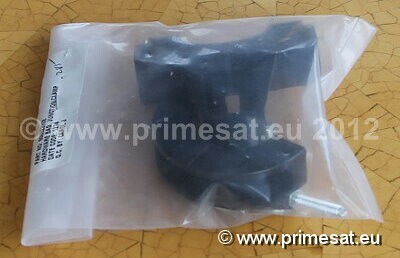 Primesat feedhorn support boss (feedhorn not included).Shown above right is an Invacom feedhorn (not included) fitted to a Primesat feed support boss. 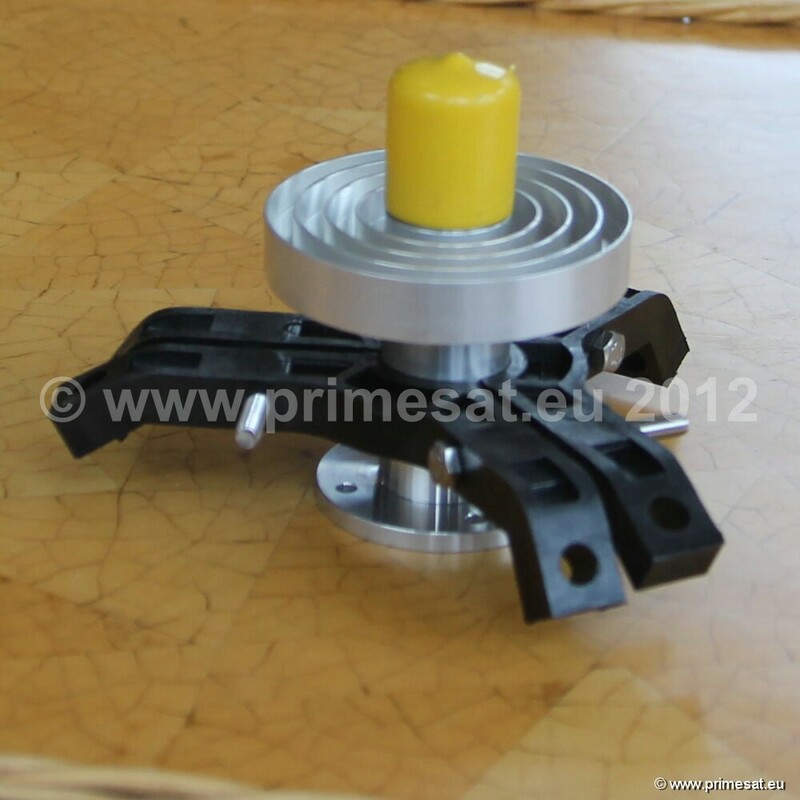 If you need a way offitting a feedhorn to your prime focus dish, you can use this support boss to bolt everything to the ends of the3 rods onto your dish. The support boss has two angles to choose from as far as interfacing with the rods on your dish.Usually the shallower angle holes would be used with larger dishes. 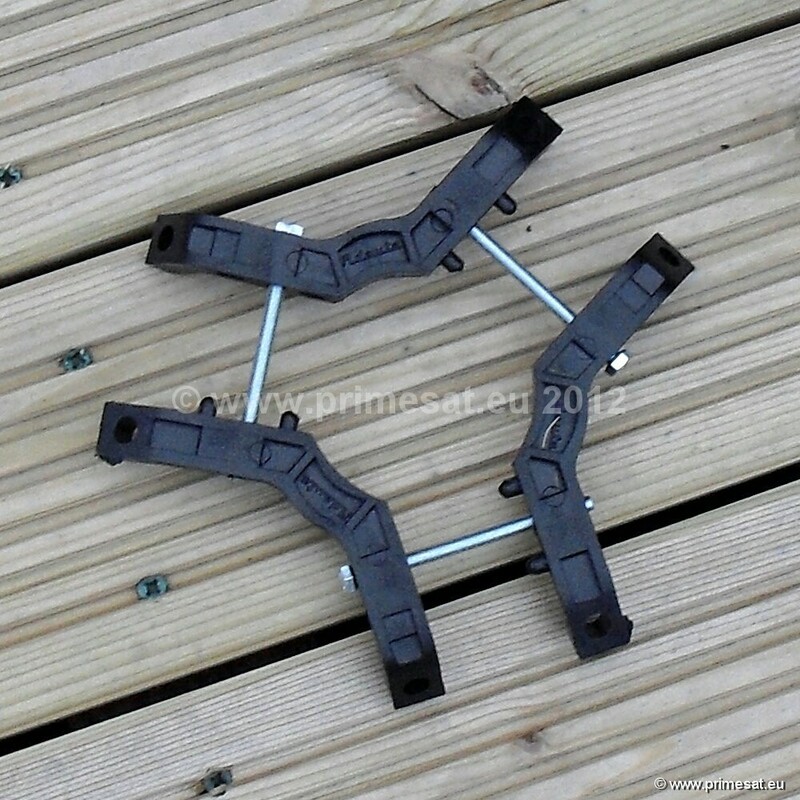 With this support boss, this feedhorn can befitted any prime focus dish that uses 3 arms although the bolts at the ends of the rods may need to be alteredto suit the size of the holes in the boss.Adjustable for 23mm or 40mm feedhorn necks. Feed support boss only. Feedhorn / LNB not included. 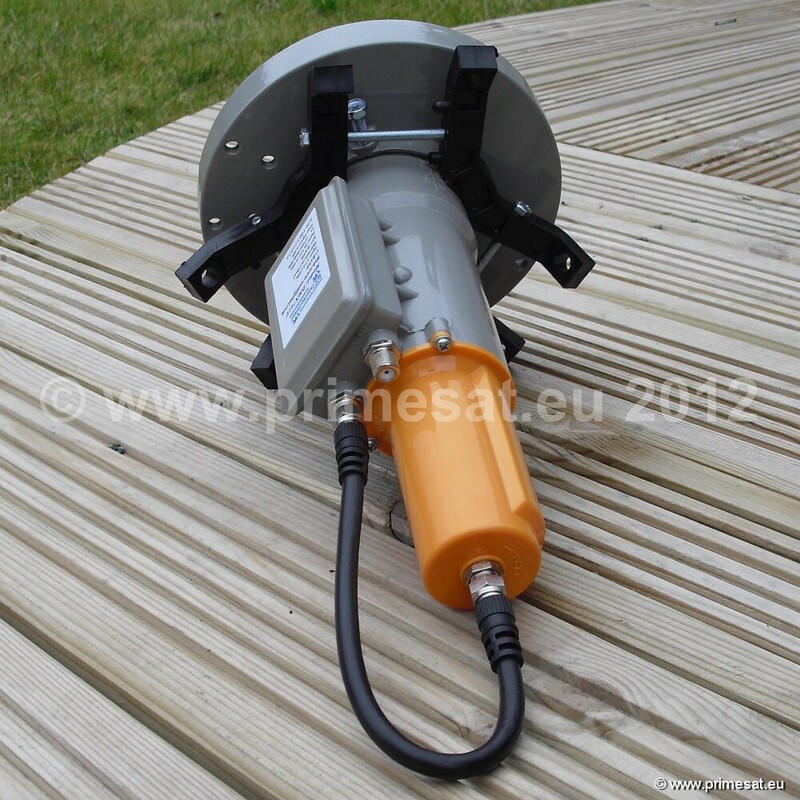 The Primesat feed support boss (No 2) has longer boltsfor 60mm necks. If your prime focus dish has a Ku band feed support boss and will not adjust to a60mm neck, this option is available. 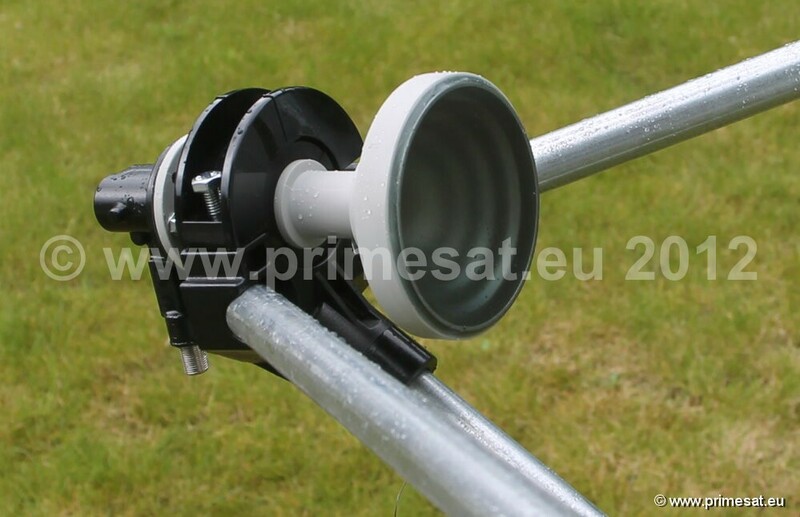 The 3 arms can be bolted to this feed support bossand the C Band LNB will then fit. The support boss has two angles to choose from as far as interfacingwith the rods on your dish. Usually the shallower angle holes would be used with larger dishes. 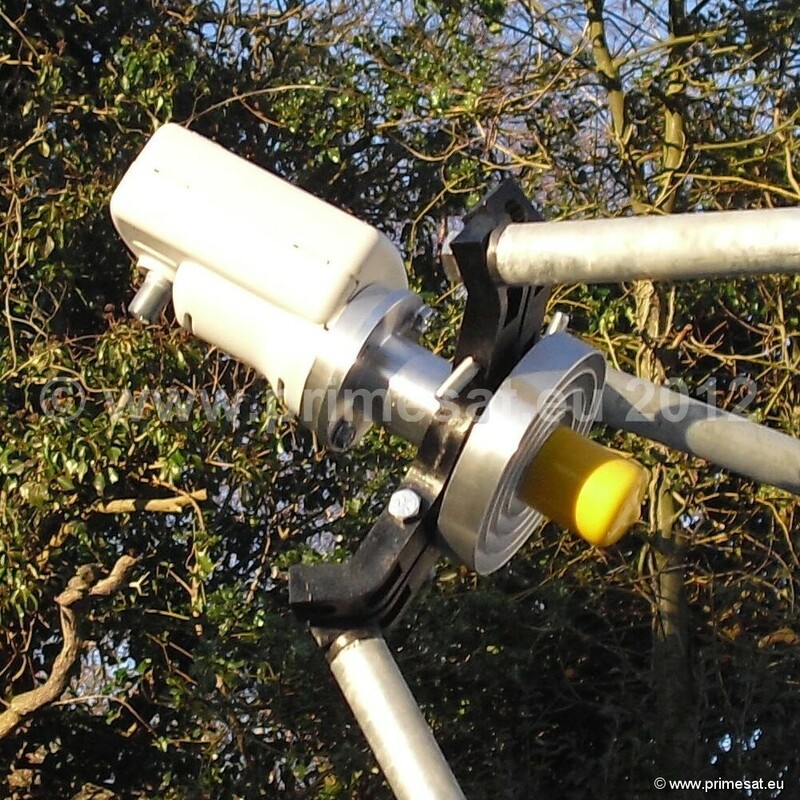 Withthis support boss, a c band feedhorn can be fitted any prime focus dish that uses 3 arms althoughthe bolts at the ends of the rods may need to be altered to suit the size of the holes in the boss.Adjustable up to and including 60mm for the 60mm neck of the C band feedhorn. Raven feed support boss RAVSFB. This is the feed support boss (clamp) that fits on the ends of 3 arms of the Raven(formally Andrews and before that Channel Master) 90cm, 1.0m, 1.2m 1.8m and 2.4m offset dishes.This is a 40mm clamping LNB support boss. Bolts nuts and washers are included. 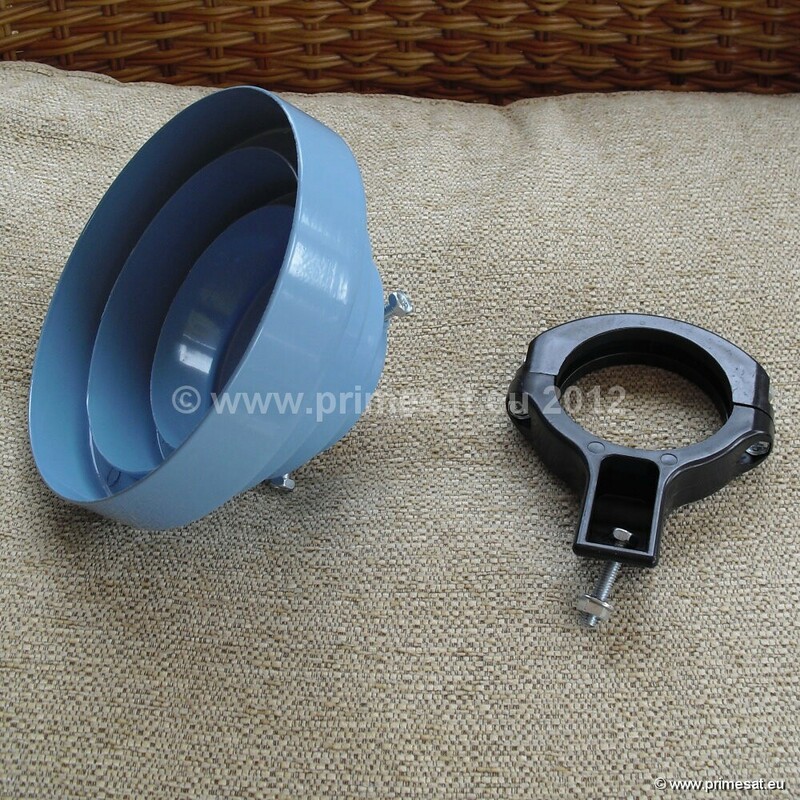 Spaces are also included to reduce the 40mm to 23mm so that it holds the Raven matched feedhorn. Select small images above to view in higher detail. 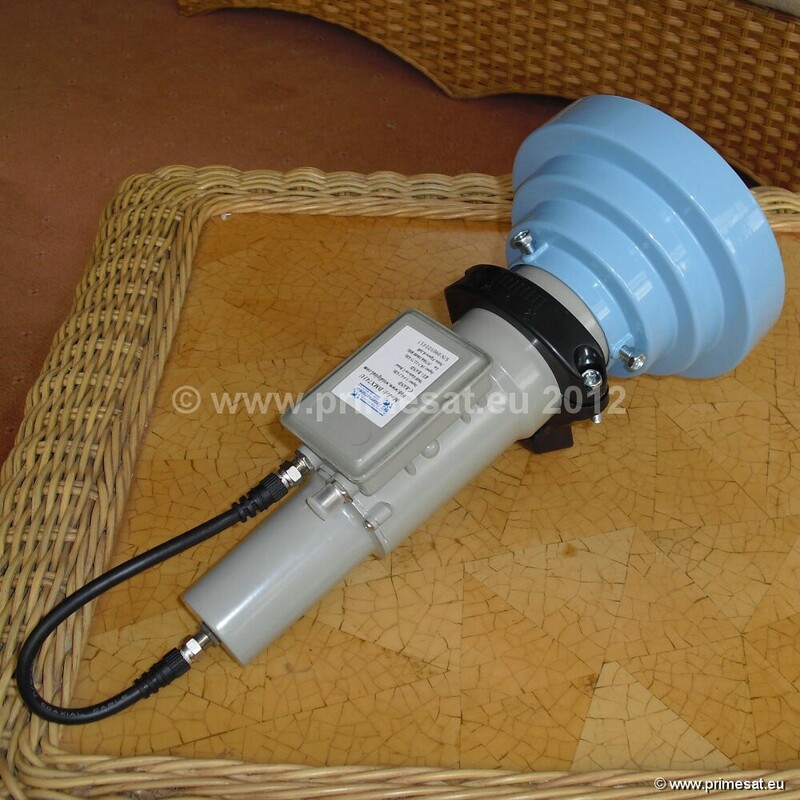 WS C Band offset feedhorn WS-KU2C Kit. 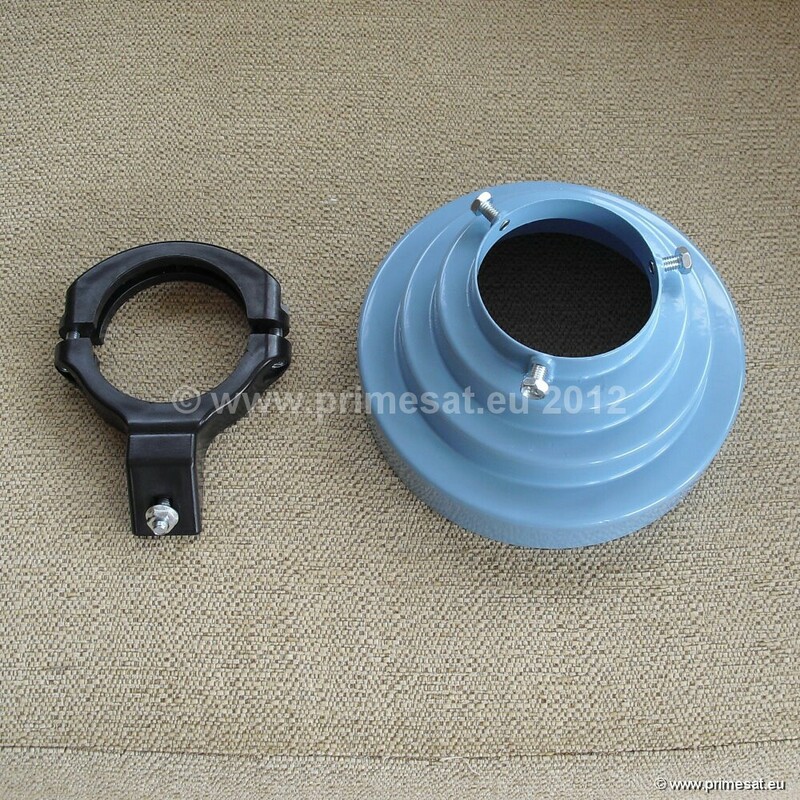 This is an offset feedhorn kit and it will allow C Band voltage switching LNBs to be fitted to offset dishes.The feed support boss is designed to take a 60mm LNB neck. 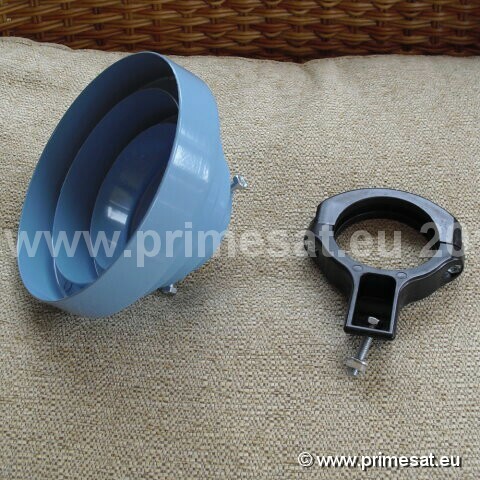 Most C Band LNBs use a60mm neck. 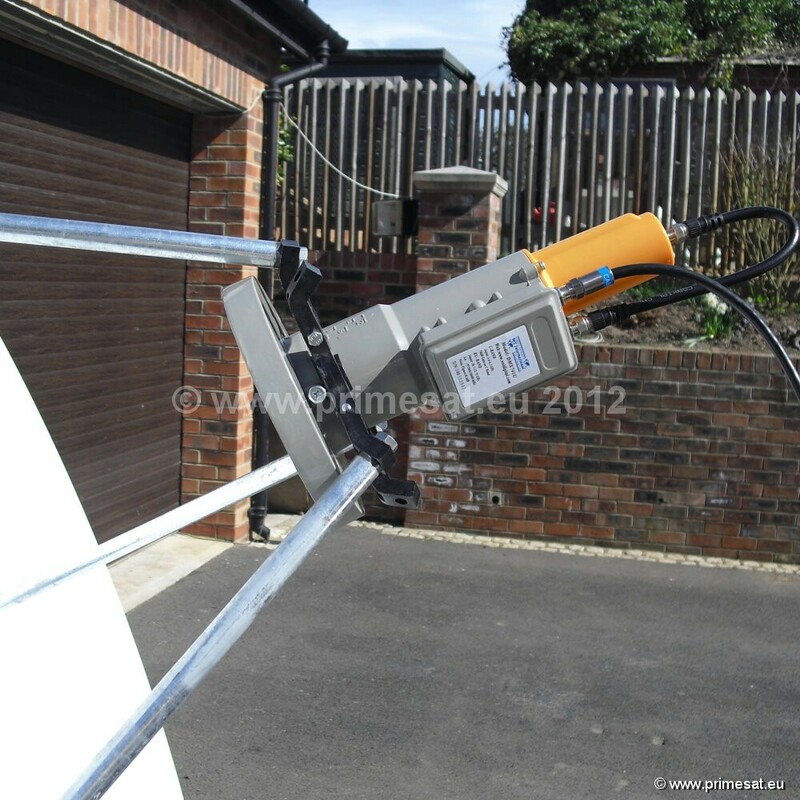 The boss can be fitted to the satellite dish feed support arm.It may be necessary to modify the end of the dish arm to fit this boss. One bolt is usedto fit this feed support boss to the arm and so a hole may need to be drilled through the arm.If there is a single arm, or side support arms are connected to the main arm further downthe arm and there is only a single arm tube at the end, (e.g. 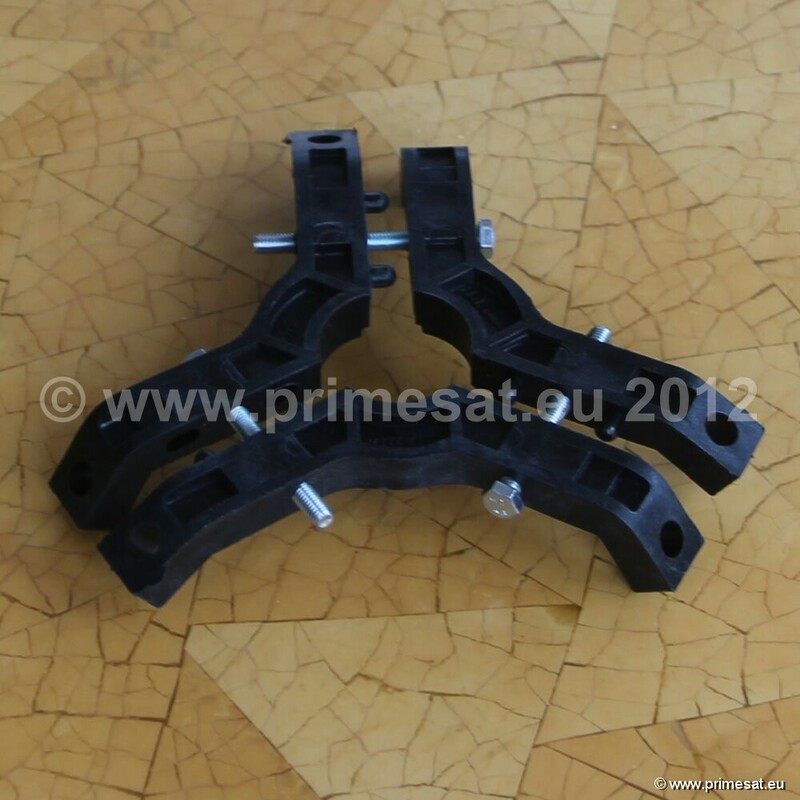 a Gibertini dish) fitting thissupport boss should be easy. If three arms all converge right at the end (e.g. 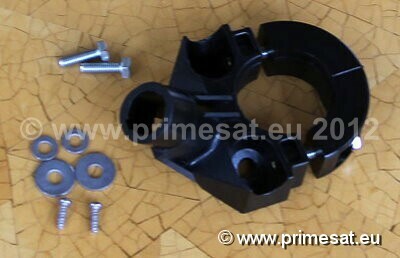 a Raven dish),the modification would be more difficult.The feed support boss comes in a kit which includes the offset feedhorn flared horn attachment.